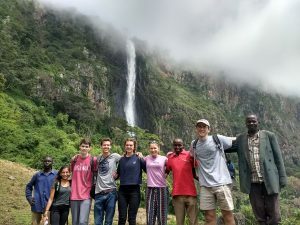 Learn from your STRIVE-Kenya Gurus and local coaches, experienced travelers and athletes who are very familiar with Africa and have the knowledge of Kenyan history and culture to help you get the most out of your trip. Experience traveling through and training in the Rift Valley – the heart of the Kenyan running community and the cradle of humanity – with daily training of 2-12+ miles culminating in a 5k, 10k, or half marathon race! 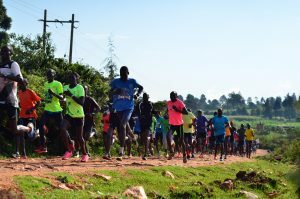 Interact with world-class athletes and coaches in Iten and learn secrets from the best. Past encounters have included world record holders David Rudisha and Wilson Kipsang and legendary coaches Renato Canova and Brother Colm O’Connell. Take an African Safari and search for the “Big 5” hoping to spot a lion, rhino and others! Spend a morning running through Hell’s Gate where you’ll share the “road” with zebras and giraffes or try a rock climbing adventure! Feeling drained? Tack on 3 days and 2 nights and finish the trip relaxed with a visit to the beautiful Diana Beach. Staff: Two native English speakers with many years local experience, plus our local Kenya coaches, drivers, and tour guides. Explore Kenya’s Rift Valley and varied landscapes as you follow in the footsteps of countless marathon champions and search for elephants, lions, leopards and more in the African wilderness. This trip is built for the traveler who wants to stay active and explore a new culture while also experiencing the sights of East Africa as more than a tourist. Experience typical traditions in Kenya while meeting locals and learning from your STRIVE Gurus who have worked in these communities for years. Begin your trip in Nairobi – the nation’s capital – spending a morning running through the beautiful neighborhoods of Nairobi or, if you’re up for it, taking your first morning run in Karura Forest, before heading to the Giraffe Sanctuary near Nairobi National Park. That afternoon we’ll continue our journey to Hell’s Gate where we’ll spend the night and rest up for our running and climbing adventure tomorrow. After a morning in Hell’s Gate we’ll spend an evening catching our breath and relaxing at our beautiful accommodations as we continue to adjust to being at 6,000 ft. 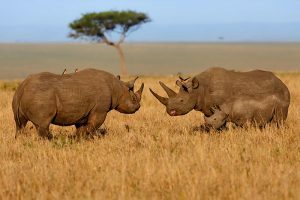 The next day, after our run, we’ll head over to Lake Nakuru where, if the animals are nice, we’ll see rhinos, lions, giraffes and a whole lot more as we take part in our first full day game drive. 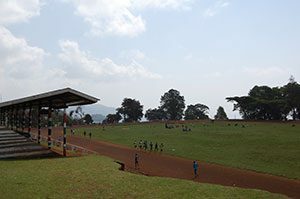 From Lake Nakuru we will spend several days and nights at the High Altitude Training Centre (HATC) where we will “run into” many professional runners and coaches as we run, bike and hike the hills of Iten to cap off our trip to Kenya. We may also have the opportunity to meet with legendary coaches like Renato Canova and Brother Colm O’Connell. A few day trips around Iten will give you a better idea of the beauty of the Rift Valley – the cradle of humanity. Explore the breath-taking views from the local forests as professional runners dart through the trees, enjoy a visit to the nearby waterfall or Lake Baringo, and run the same routes as the world’s best endurance athletes and even test your mettle against other Kenyan Runners by joining a group of 100’s of runners on a Tuesday or Thursday Fartlek. Finish up your time in Iten with a 5K, 10K, or Half Marathon, along the same roads with which you’ve become familiar through the spectacular Rift Valley and flanked by the many champions that call these streets home. Need more? For those who want to arrive home with an extra sense of accomplishment, embark on the 4 day/3 night additional excursion to summit Mt Kenya – a stunning peak just over 17,000 ft full of wondrous views and adventure. 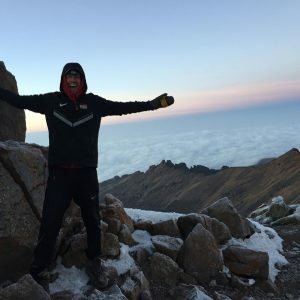 You’ll hike for a couple days before getting up before dawn to summit the peak. Take a moment to catch your breath and pat yourself on the back for making it to the top! In the evening, be greeted by our experienced STRIVE staff who will be awaiting your arrival in the Nairobi airport. Take a short taxi ride to a nearby hotel for a relaxing meal and night of rest. Watch closely and you may be able to see the giraffes from a nearby game park as we drive to and from the hotel. *Note: you can choose to arrive on the morning of Day 2 if the flight is more convenient. Please contact us with any questions about arrival logistics. We’re happy to accommodate as many special requests as we can. Wake up and enjoy an early morning run on the quiet residential streets or, if the group is up for it, through nearby Karura Forest. After breakfast at the hotel, we’ll take a short drive to the Giraffe Sanctuary where you’ll learn about the different species of giraffes and the programs to breed and release the endangered species to the wild. Oh and you’ll be able to see a giraffe tongue up close and personal! After spending “lunch” with the giraffes we’ll head out to Hell’s Gate and check into our accommodation for the night. Enjoy breakfast because after that we’re going straight to Hell’s Gate! Once in the park you’ll be given the option to run, bike or ride in the van as we search for some local wildlife on foot. If you still have energy and you’re up for another adventure you’ll be able to do a little rock climbing with a local, professional guide. If not, just enjoy the wildlife and scenery of the park and maybe visit the Devil’s Bedroom. After a picnic lunch in the park, we’ll meander back to our accommodation and spend the afternoon relaxing by the pool and resting up after a lot of travel and jet lag. After a morning run and breakfast at the hotel we’ll drive to nearby Lake Nakuru where you’ll get your binoculars out and start searching for animals. “Safari” is Swahili for “journey.” And Safari we will! If we’re lucky we’ll spot lions, rhinos, giraffes, hippos and more. After a full day in the park we’ll return back to our accommodation for dinner and a drink to relax. We’ll head out early into the park to hopefully catch a glimpse of lions on the hunt or other early morning activity from the animals before heading back to the hotel, going for a short run, and then heading to the airport to catch our flight to Eldoret. From Eldoret, we’ll take private transport all the way to the High Altitude Training Center, your home for the next 7 nights. Upon arrival you’ll get a tour of the of the facilities and enjoy your first meal with the friendly cooking staff at the HATC. 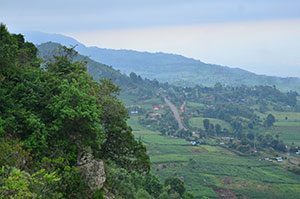 Enjoy your first day in Iten with a little bit of relaxation and exploration of the nearby town. Stop in to a local billiards hall for a game of pool with the “sharks” or just enjoy wandering around the markets and bargaining for fresh fruits and veggies. We’ll want to take it easy today as it’s our first day at almost 8,000 ft. In the afternoon we’ll head out for our first jog and test out the legs on the famous red clay roads. rise and disappear. After a nice, filling breakfast back at the HATC, we’ll all pile into our private transport for a quick trip down into the Rift Valley. Marvel at the scenery as the valley opens up before you and stop and take lots of pictures. About 45 minutes down the valley, we’ll stop and start our hike towards a small little community that sits under a not so small waterfall. We might even be able to stop at the natural carbonated spring and take a swig! Use the evening to relax, maybe schedule a massage or hang out at the Iten Club and see who pops their head in there for an evening tea or coffee. If you’ve still got energy after the hike you might be able to join in on the core classes offered by the HATC. Be warned, Timo and Richard are tough instructors and they only accept full effort! Fartlek Day! Many local, and occasionally famous runners take part in this weekly tradition. Take private transport down to the start, where you will rub shoulders with the world’s greatest. Do a short warm up, and then run with hundreds of Kenyans (literally) up the hills of Iten to camp. Transportation will be available for those who just want to ride along and take photos of the scenery and athletes along the route or for those who are looking for a shorter workout. Simply hop in the van and ride back to the HATC where your post-run pancakes and fruit will be waiting. Participate in a Q & A with a panel of local coaches and professional athletes. Past panels have included legendary coaches such as Brother Colm and Renato Canova, along with super-star athletes Vivian Cheruiyot and David Rudisha. They will be giving their input as to what makes Iten the “Home of Champions” and discussing the dedication it takes to make the professional ranks amongst the stiff competition. After a morning run to get those legs warmed up and feeling better after our workout yesterday we’ll head over to St. Patrick’s School for a visit and tour of the museum. St. Patrick’s is where Brother Colm got his start and many, many Olympic athletes have passed through the halls. In the afternoon, we will visit with a local family for a traditional tea service. Discuss Kenyan cultural traditions around the home and learn some Swahili and Kalenjin phrases. These phrases are the easiest way to get a smile from the Kenyans! Pay attention, listen and try hard. It will make your experience better, we promise. After tea, it’s back to the HATC for another afternoon core session followed by a sunset dinner at Kerio View overlooking the Rift Valley. Now that you’re fully acclimated, why not race from the bottom of the Rift Valley to the top? Test your mettle against some local athletes and see how well adjusted you are to the altitude and hills of Iten. If you don’t want to race, enjoy an easier run at the top of the valley or come along for the ride and cheer on your fellow participants as they climb the hill. After a nice breakfast and some much needed relaxation time by the pool, we’ll all join the staff at the HATC and take part in a cooking class to learn how to cook your new favorite Kenyan foods. Enjoy dinner and prepare for your last full day in Iten tomorrow! Take a day off or go out for a short easy run in the morning before we leave for Lake Baringo. Once we get to the lake we’ll hop in a boat for a tour of the lake, hoping to spot some crocodiles and some of the 470 species of birds that have been known to be found there in one of the only freshwater lakes in the Rift Valley system. You’re sure to enjoy the air all way down there at 3,000 ft.
After our tour of the lake, we’ll wind our way slowly back up the Rift Valley and maybe stop by some mango farms to test out the local produce! Then it’s time to pack up and get to bed early as you’ll be traveling home soon and telling your friends all about your adventures. 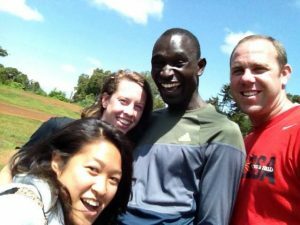 Day 12 – Iten – Eldoret – Nairobi – Home! A last morning run before we head to Eldoret to catch our flight. Depending on flight schedules from Nairobi we’ll likely stop in Eldoret to savor that last Kenyan meal and stock up on locally produced coffee from a Kenyan favorite, Java House, before heading to the airport for a short flight to Nairobi followed by goodbyes to your tripmates and Gurus before boarding your flights home from Nairobi! An early morning wake-up will have us on our way to the Sirimon Gate to begin our journey to the top of Mount Kenya. We’ll arrive just outside the gate and stop of lunch before we head into the park and start climbing up! After lunch we’ll hike through various forests including bamboo and rosewood before finally arriving to Old Moses at 10,800 ft, our campsite for the night. Once there, we’ll unpack, get settled and enjoy the views before coming together as a group for dinner and then early to bed. Today’s hike will be a good test for your endurance as you slowly acclimate and prepare for you day to the summit. You’ll walk up and down hills and valleys and through the sprawling moorlands on the mountain. 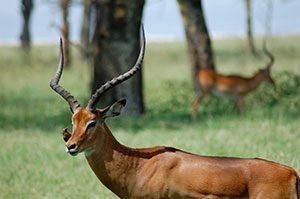 Your guide will introduce you to all sorts of flora and fauna and if you’re lucky someone in the group will spot some wildlife for the whole group to enjoy. Once you arrive in Shipton’s camp, you’ll want to catch your breath and get some warm clothes. Today, it will be pretty cold!! Bundle up and enjoy it. You’ll spend today getting used to the altitude but don’t worry you’re not just going to sit in camp all day. 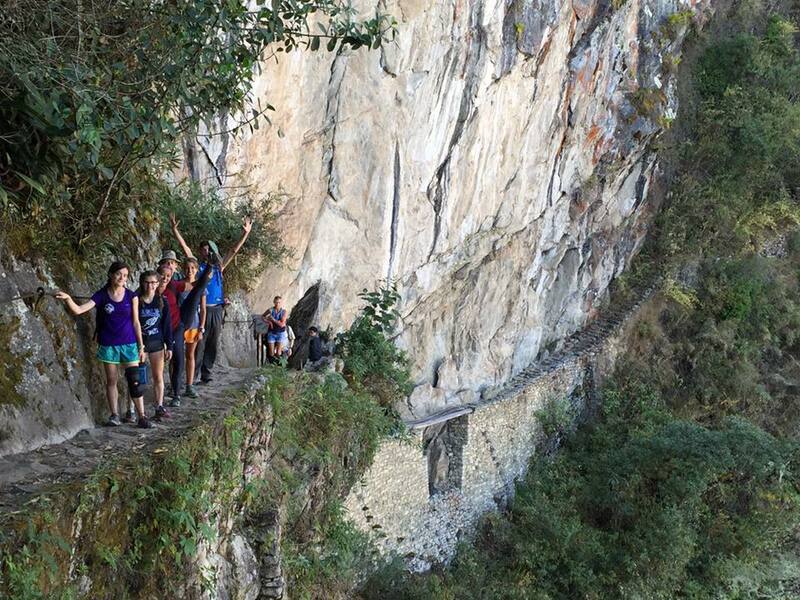 We’ll go on a hike getting all the way up to 15,400 ft for some spectacular views and exploration. You’ll head back down to camp after your hike and you’ll be amazed at how nice it feels at almost 14,000 ft. Just like sea level…almost. You’ll hang out with everyone in camp, enjoying tea and sharing stories before an early, early bed time tonight because tomorrow……..
Up early early early and leaving camp at 3 AM to summit by 6 AM and enjoy the sunrise from the summit. If the weather cooperates you’ll be able to see Mt. 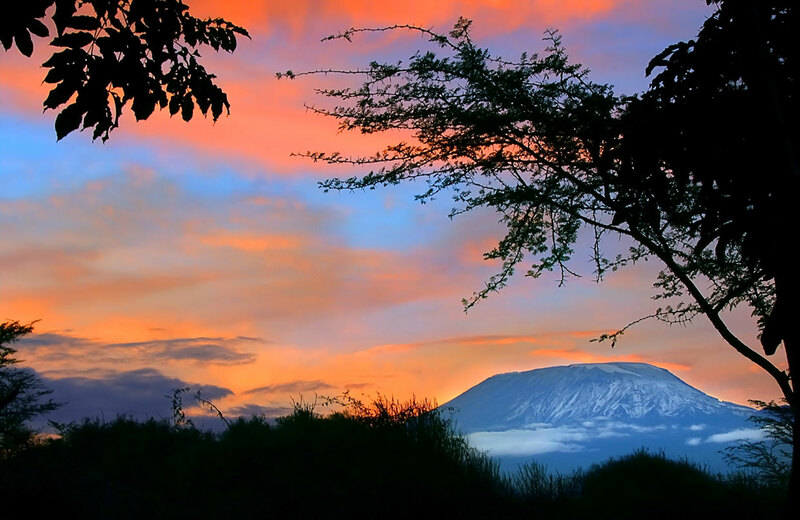 Kilimanjaro in the distance, over 200 miles away and unbelievable views in all directions. The hike to the summit will be over steep screes and bare rocky tracks so you’ll take your time and enjoy the journey. Headlamp is a must for today’s hike! After you’ve enjoyed the summit, you’ll descend, descend, descend until you get to the park entrance where you’ll hop in a private van and maybe take a nap on the drive back or maybe just talk the whole ride back about the awesome hike you just completed. No! While Kenyan culture is definitely runner-heavy, especially in Iten, we encourage people who are non-runners to be a part of our trips. We do suggest you enjoy physical activity and being outside. In general, you will definitely get more out of the trip if you enjoy being active, but if you want to use the group’s running/exercise time to relax and explore, that’s fine too. There are enough activities, sights and good food to keep everyone happy and engaged. At the HATC you will have access to a full length swimming pool and well maintained fitness center. The fitness center includes free weights, nautilus equipment, treadmills, ellipticals and other equipment. There is also a separate room that is dedicated to yoga and stretching which offers classes a few times per week and is open to our guests throughout the day. Bikers will be provided with a well-maintained mountain bike with a helmet. We believe in safety first and helmets will be a requirement if you do decide to go the biking route. Choosing to ride a bike will not cost extra BUT we do need to know if advance if you will be biking so we can be sure to procure the bikes. If you are an avid biker please do let us know. As a biker, you’ll have the option to either accompany the runners (a very low intensity on the bike) or bike on your own. The weather in the Rift Valley of Kenya is consistently temperate during July. Due to the high elevation it does get very cool at night and in the early mornings. On a cold morning/evening, it wouldn’t be unusual for the temperatures to be in the low to mid 40’s. Please make sure that you pack accordingly if you are a person who typically gets cold easily. The good news is that it does tend to clear up during the middle portion of the day and temperatures rise rapidly and approach the mid-70’s most days. The key to a trip in Kenya is layers. You’ll inevitably be chilly in the morning, sweating around lunch and then cooling off again around dinner time. Just come prepared with the right clothing and you’ll do just fine. If you have questions about packing, be sure to email us! We at STRIVE cannot give advice about what vaccinations you should or shouldn’t have but we can certainly point you in the right direction about the best course of action. We recommend scheduling a visit with your physician who will be able to advise you on the vaccinations they would recommend for a trip to Kenya. 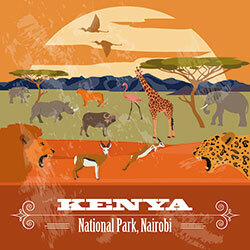 We also encourage our participants to visit the CDC Website on Health Information for Traveler’s to Kenya. Yes! There will be at least 2 opportunities to do laundry during your trip. Laundry in Kenya is very cheap and comes back dry and folded but could take a few days as the weather is very wet and there are no dryers. Expect to pay somewhere between $1-3 per pound of clothes. Kenyans tend to charge more for jeans because they are difficult to wash by hand. Your guides will help with finding local Kenyans for washing your clothes, or you can wash by hand, the Kenyan way! It’s as intense as you want it to be. We cater to all levels of runners or athletes and we will never ask you to do more than you feel comfortable doing. We might have some people who run 10 miles a day and we may have others who do some yoga in early AM and spend the rest of the morning exploring the new town and immersing themselves in Kenyan culture! What happens to my luggage during the athletic activities of the day? The HATC is very safe and has locked security gates and keys to your rooms. We encourage everyone to lock their money and passports in their luggage if possible (if you already have TSA locks on your luggage that would suffice) so that when your rooms are being cleaned there is no potential for theft. That being said, we have had absolutely NO PROBLEMS with theft by the maintenance or cleaning staff in the many trips we have done to Kenya. Do I need to speak Swahili or Kalenjin? Kenya’s national languages are both Swahili and English. However, English is usually a Kenyan’s THIRD language, after their “mother tongue” (culture dominant language), then Swahili, followed by English. So, while you can get around with English, you will certainly pick up a few phrases that will help you communicate during your trip. Being able to communicate with people in a foreign country will always enhance your experience. We will take care of any communication issues you may have and we’ll be happy to give you a crash course in Swahili if you are feeling particularly adventurous. Greetings are very important in African culture, so the very basics in saying “Jambo” (hello), “Asante Sana” (Thank you), and “Hakuna Matata” (no problem!) are very important and go a long way to showing Kenyans that you care. We will be staying in a “Kalenjin” dominant area so you also might want to learn a few greetings and “Thank you” (kongoi) in that language as well. More on that when you arrive! 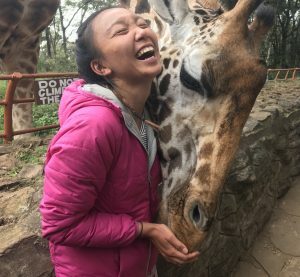 Is Kenya friendly for people with dietary restrictions (gluten intolerance, vegetarian/vegan, etc.)? The places we visit will all have plenty of options for people with dietary restrictions. Delicious vegetarian options abound at the HATC and other places we visit. Your group leaders will be vigilant about checking with kitchen staff to be sure your options are available. Keep in mind, that just like in the United States the more restrictive your diet is the more difficult it will be to find places to eat. Simply let us know what are your dietary restrictions and we’ll plan accordingly. 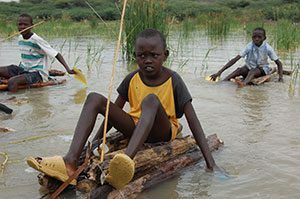 Is the water in Kenya safe to drink? The tap water is not potable in Kenya. Purified water is available through the HATC while we are staying in Iten. Bottled water and Steri-Pens (water purifers) will take care of the rest of your hydration needs on your trip. Price includes: All lodging, meals as noted, non-alcoholic beverage with meals, domestic airfare and other ground transportation, excursion entry fees, professional guides to lead group activities and help organize free time, 24-hour-a-day support both on the ground and from the US based staff. Price is based on double occupancy; $495 fee applies for single occupancy. NOTE: Are you the non-runner in a family of runners? You do NOT have to be a runner to enjoy the trip. The HATC has plenty of athletic options for other athletes or a nice swimming pool area to relax at and enjoy the noon sun. During most of our runs, there will be an option to bike alongside runners or ride in our private vehicle between sites, or simply use the time as free exploration time. The choice of athletic intensity is entirely up to you.